While out in the district last week, one theme came up repeatedly: what is going to happen to the Dreamers, and the uncertainty that the Administration has created surrounding the status of Deferred Action for Childhood Arrivals. Blowing past the self-imposed March 5 deadline, President Trump and his administration continue to display cruelty and cowardice towards people who are Americans in every way but on paper, leaving 800,000 lives in the balance. That includes an estimated 38,000 San Diegans who are currently eligible for DACA or could be soon. So given the dismal results of past inaction, why do I remain optimistic that a solution can be reached? Because San Diego, and all of America, is paying attention. Our nation was founded on the promise that if you work hard and play by the rules, we’ll have a place for you. That’s what I told Karen Bahena, a San Diego State University graduate and DACA recipient, and my guest at this year’s State of the Union address. I continue to fight to hold Congress and the Administration accountable, and maintain the pressure to keep that promise. That’s why I joined 190 Democrats and 50 Republicans in support of an obscure procedural measure called “Queen of the Hill,” which brings bills focused on the same issue to the House floor for a vote. The bill that has the most votes is adopted if the majority of the House votes for it. A bill needs 218 votes to pass, and this legislation has 240 cosponsors. This rule will force debate on immigration legislation, including legislation that addresses Dreamers. There are the votes to open debate—and potentially pass legislation—yet Republican leadership remains in opposition to even consideration of bi-partisan immigration legislation. Now, a bi-partisan group of members have filed a discharge petition to force the Queen of the Hill debate on the House floor. This procedural move requires a majority of House members to sign it so that the vote is forced. Republicans and Democrats agree—it’s past time to enact permanent, legislative fixes so Dreamers have the certainty they need to pursue their own American dreams. Instead of blocking efforts, nearly 50 Republicans came out in support of a bi-partisan vote on major comprehensive immigration legislation. Still, House leadership won’t allow a vote. Our friends, neighbors, and co-workers—and our economy and world standing—depend on certain, clear protections of those who are DACA recipients. I will continue to be at the table, fighting for DACA recipients and for solutions that work for our community. 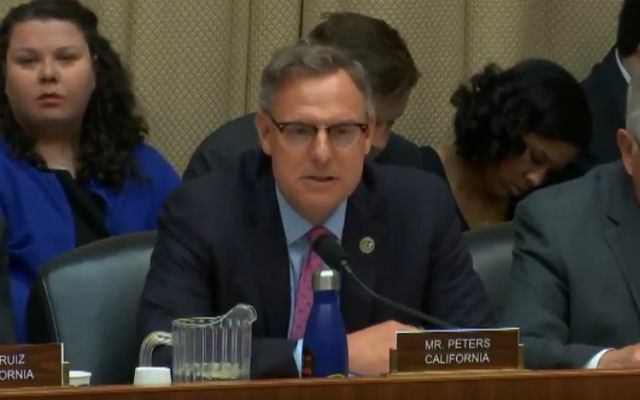 Rep. Scott Peters represents the 52nd District, which covers much of central San Diego County including Poway, Coronado, and large portions of the City of San Diego. He is a member of the House Energy and Commerce Committee and the House Veterans’ Affairs Committee.